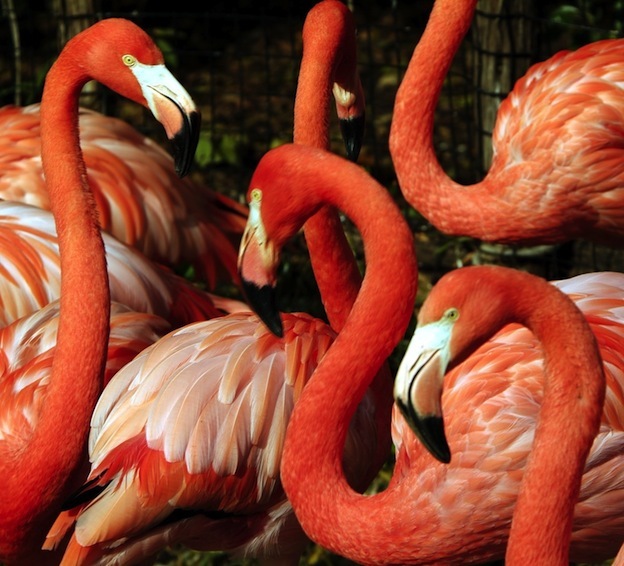 The American Flamingo is found in the West Indies, Yucatan, and along the Galapagos Islands. The largest amount of them is found around the Caribbean which is why they are so commonly referred to as the Caribbean Flamingo. The prefer areas with a large concentration of salt in them. This is why they are often found inland of small lakes and mudflats. By nature, this is the only species of Flamingos that is found in North America. This species of Flamingo features a body that is more slender in design than many others. It also has a bill that seems to be bent or broken. Yet this design allows them to be able to feed quite well in their natural environment. The feathers are a bright pink and white but when the Flamingo has then spread out they will show black coloring underneath. They are one of the largest types of Flamingos as well. You will notice that the bill of the American Flamingo matches well with the rest of the body. It is also pink and white in color. The very tip of it though exhibits a black color. They interact with each other using sounds that are similar to those of the goose. It is one of the most well known types of this animal in the world. This is the one that the pink plastic flamingos for yard ornaments are designed after as well. The diet of the American Flamingo primary consists of algae and a variety of crustaceans. Sometimes they will even eat a variety of plants that are found in the water due to the high nutritional content they provide. They tend to find plenty to eat which strongly influences their ability to mate. They need the rain as well as sufficient food to be able to do so. Some years they have one breeding season and others they have too if there is enough rainfall and enough food. Generally the two go hand and hand. When there is a lack of both, there may not be any mating season at all that year. American Flamingos are well known for their various behaviors which the entire colony will take part in. These include preening activities, marching, and others that are a symbol of how in sync they are with each other. It is fascinating to observe if you ever have the opportunity to do so. While you usually won’t see them swimming around much or flying, they are very good at both. They tend to consume food from the edges of the shallow waters but their long legs do allow them to go further into the water if they need to. They live in warm regions so they don’t fly to migrate. However, they may fly if they need to in order to find enough food. 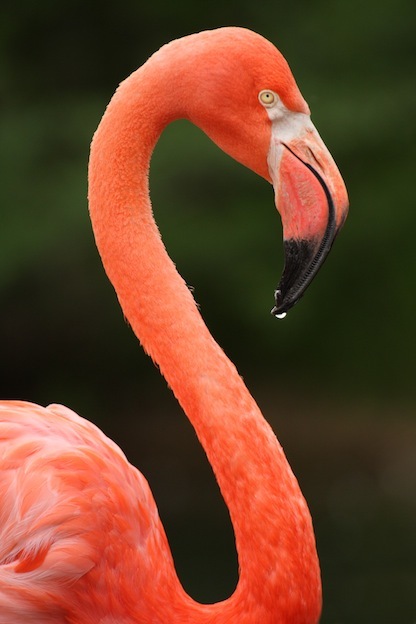 The average life span of an American Flamingo in the wild is 40 years. They can live about 60 years in captivity. One of the best places in the world to see them in captivity is the zoo in Honolulu. Thanks to the diet they consume there, they are a very lovely shade of pink that will take your breath away. Many conservation groups keep a close eye on the number of America Flamingos. They don’t want the numbers to get as low as they did in 1956 when only about 22,000 of them were believed to be left. Today that number has more than tripled but many still worry about their future. This is due to the fact that humans taking over their environment, pollution, and a lack of food can result in them dying and them not creating new offspring.